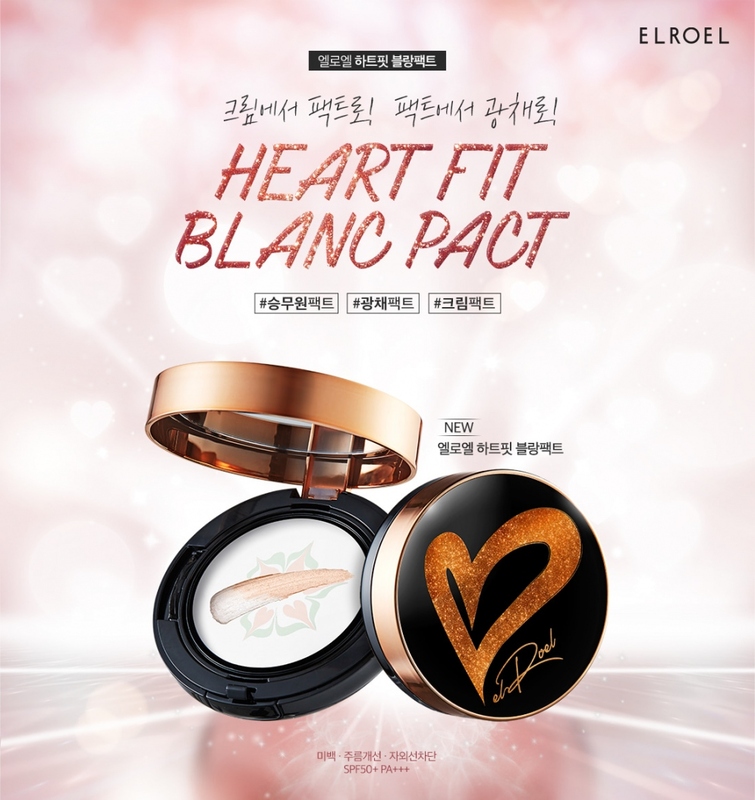 Radiant your Skin Care with the [ELROEL] Heart Fit Blanc Pact 15g! we aim to provide you best korean products to take good care of your skin, including Cosmetics, Face Makeup, Cushion. Hydra Cushion online. Cream to pact with resilience fortification ingredient densely and firmly filling in the skin, and jewel and moisture brilliance ingredients providing 3-dimensional and voluminous senses to the face to create heart fit face. 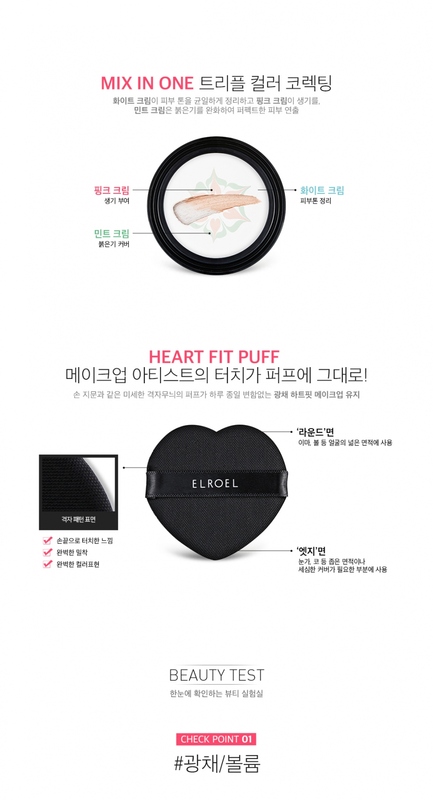 Take the puff included in package to pat on product onto skin.